YES! I will attend the Chabad House on Campus 30th Anniversary Celebration! I would like Unfortunately, I am unable to attend. Yes, I would also like to make a contribution to Chabad House on Campus in honor of its 30th Anniversary of serving college students in the Pittsburgh area! 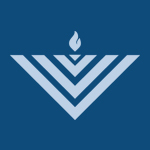 Bring Light to Pittsburgh Campuses this Chanukah!